Lanzarote - waves, wind and volcanoes in the Canarian paradise. Lanzarote is an island located in the very North-East of Canary archipelago, that rises from the Atlantic ocean only 140 km far from the African coast. 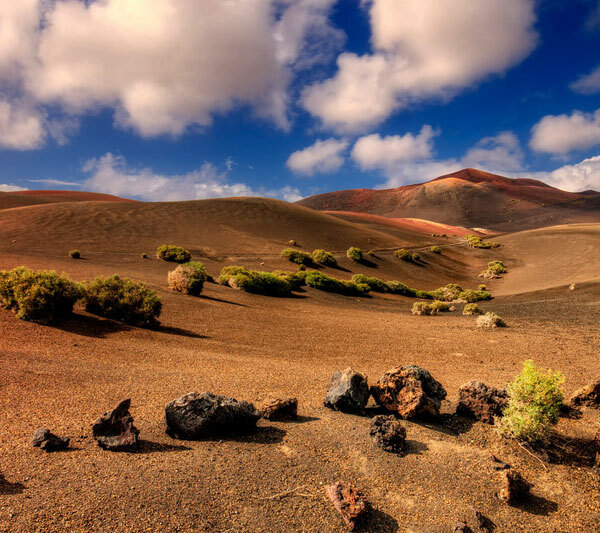 Being of volcanic origin and full of lunar landscapes, Lanzarote offers its visitors a unique experience. Volcanoes, lava tunnels, caves, sand fields, reefs, beaches with white or black sands, crystal waters and, of course, WAVES and WIND and SUN!!! Having been declared a Biosphere Reserve by UNESCO in 1993, the island of Lanzarote is known for its commitment to the environment and sustainability. Because of this, it keeps it distance and does not suffer from the urban boom like many other places on our planet, having reached an admirable balance between touristic development and conservation of environment. 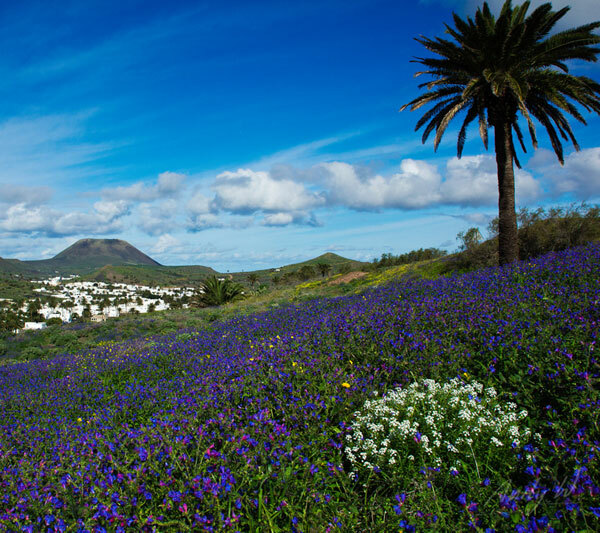 Lanzarote maintains an exceptional mild subtropical climate throughout the whole year, so we could say that we live here in a never-ending spring. During the winter, when the thermometers in the peninsula and the rest of Europe start plummeting, here we enjoy average temperatures of over 22 degrees and mostly sunny days, that make Lanzarote a perfect destination for hundreds of thousands of visitors that come to the island for its charm and incredible beauty. 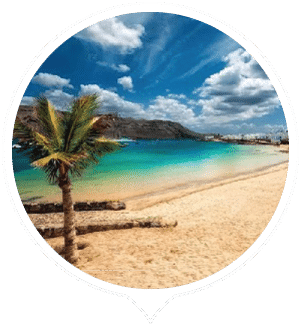 During the summer, on the other hand, mostly due to the trade winds, we enjoy ideal temperatures that do not tend to exceed 30 degrees, and provide refreshing nights for better rest. According to the statistics, that there are 300 sunny days a year in Lanzarote, so 80% of the days on the island are sunny. This island is remarkably beautiful and attractive. Surrounded by ocean of intense blue, the scenery of the island alters between sandy tranquility of the desert and potent contrasts of volcanic rocks, sometimes black and sometimes red. Occasionally the landascapes of the island bear more resemblance to the Moon than to the Earth. This can be clearly seen in Timanfaya National Park, also known as Mountains of Fire, that is undoubtedly one of the places that one must visit on the island. 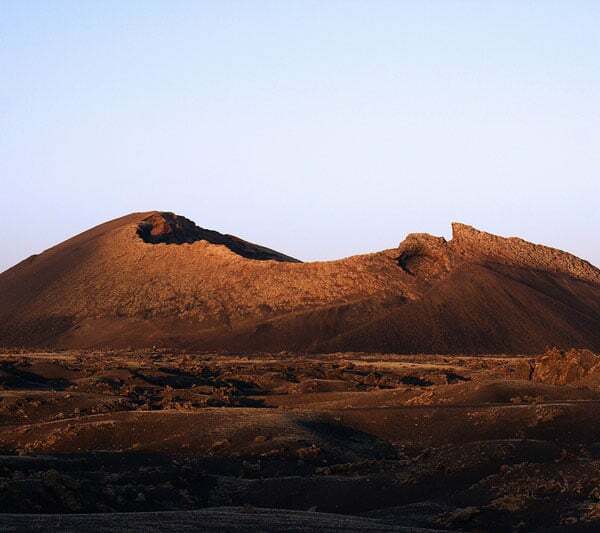 More than 25 volcanoes found in the National Park can be observed during a tour of approximately 30 minutes in one of the official park buses that are also equipped with audio guides so that not a tiny detail of Timanfaya’s fascinating history slips away. If you like hiking and are looking forward to a more intense experience in direct contact with nature, you can sign up for guided walking tours in the Visitor Center of the National Park that are organized daily. In some of the areas close to the park you can also visit volcanos, this time for free, of which we would recommend Volcán del Cuervo or Pico Partido. Not far from there you can visit La Geria, another place famous for its scenery and wines. Its winding road is marked by wineries and grape gardens. La Geria is a monument to the ingenuity of Lanzarote where farmers were able to create an unrivaled cultivation system using volcanic ashes that go by the name of Picon. Lanzarote is an island with extremely low precipitation and historically without fresh water resources. These tiny volcanic stones are able to conserve humidity at night and hydrate grapevines during the day, making possible the cultivation of grapes from which wines of local origin and of great quality are made. 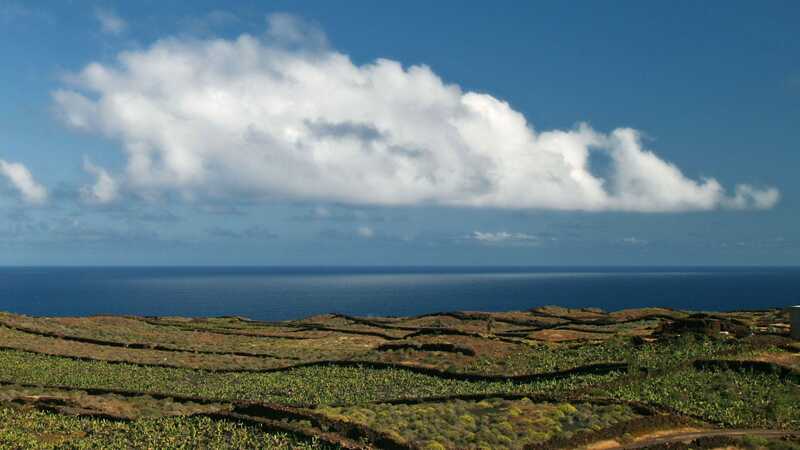 Newcomers cannot leave the island without visiting wineries of La Geria and tasting their wines, many of which have received numerous international awards. 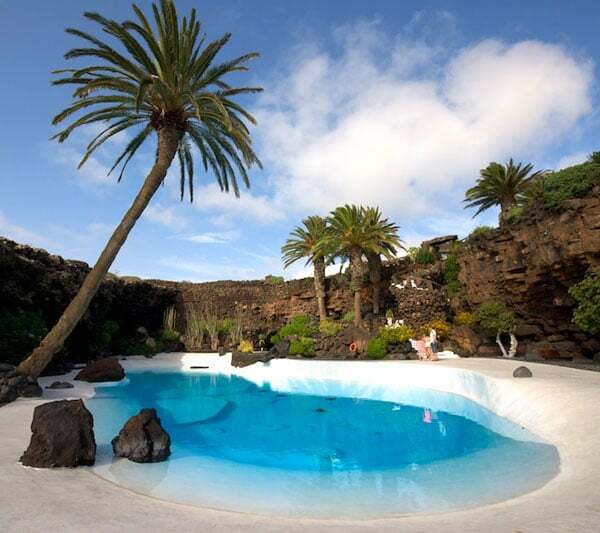 The appearance of the island of Lanzarote is in many ways an accomplishment of Cesar Manrique (1919-1992), undoubtedly one of the most distinguished people of the island who fought until the end for Lanzarote to become what it is today. Born in Arrecife, the capital, Cesar Manrique Cabrera was a talented artist who not only mastered fine arts like architecture, painting and sculpture, but was also a great man ahead of his time who managed to influence construction developers that often harmed the nature of the island. For his work and accomplishments he was awarded numerous prestigious awards, which include the World Prize For Ecology And Tourism in 1978.